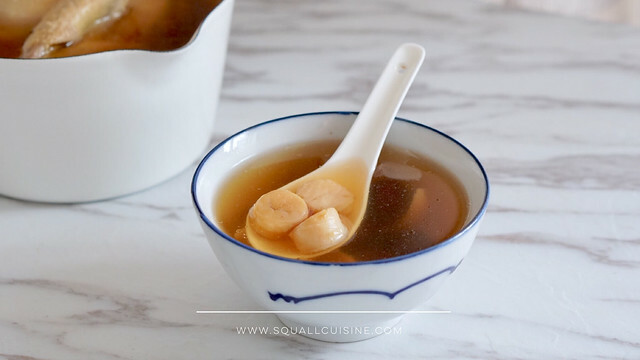 Soak scallop and lily in water, drain and set aside. 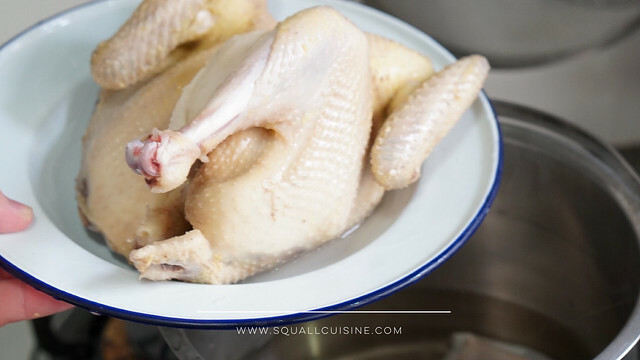 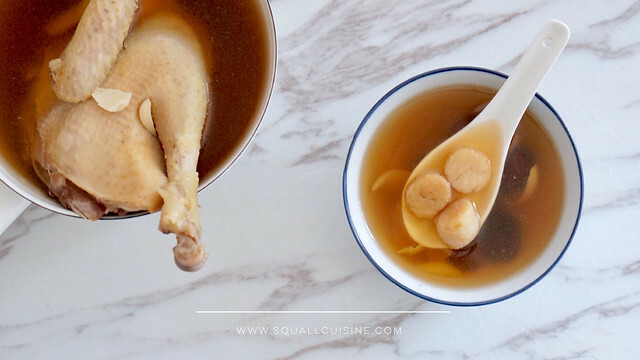 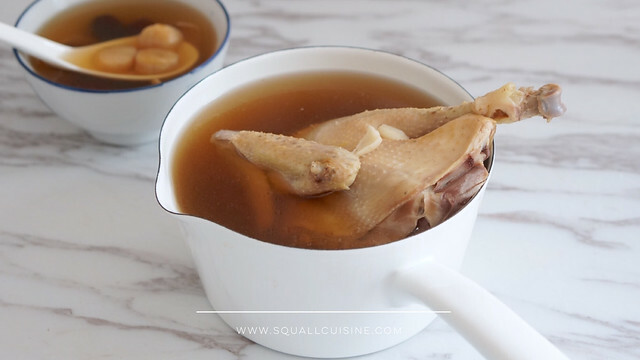 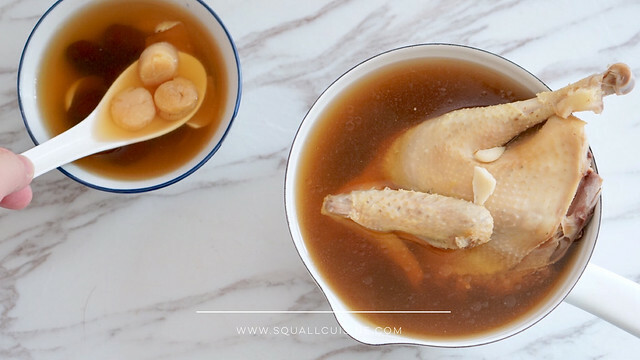 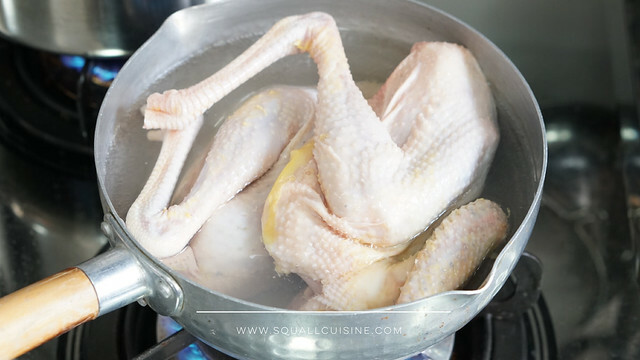 Boil chicken over simmer water for 2minutes, drain and set aside. 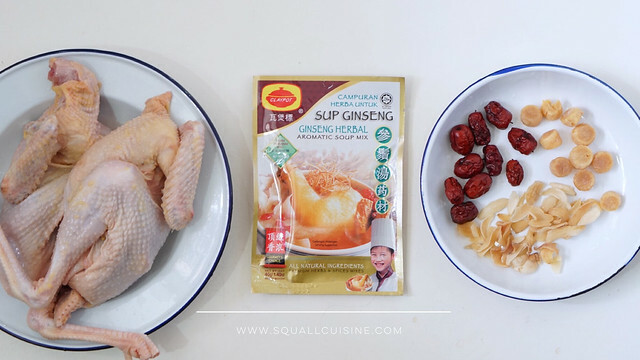 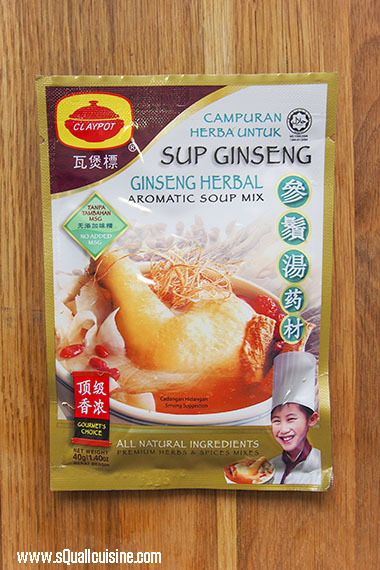 Add in Ginseng herbal aromatic soup mix pack, bring to boil. 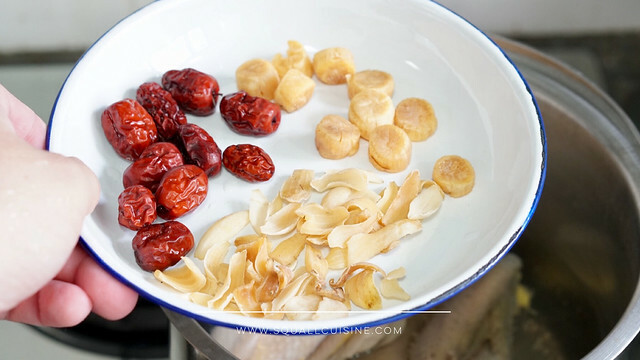 Add in chicken, red dates, scallops and lily. 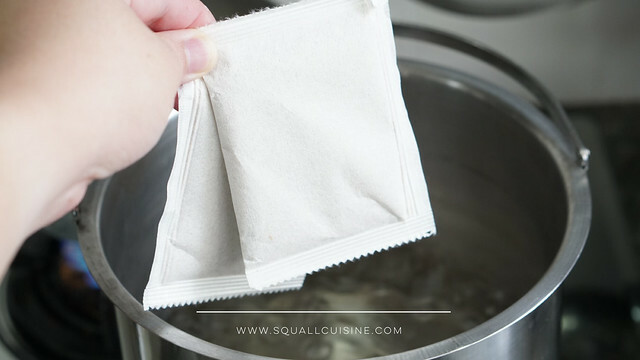 Bring pot to boil, reduce heat and conitue simmer for 1.5hours, season with some salt.